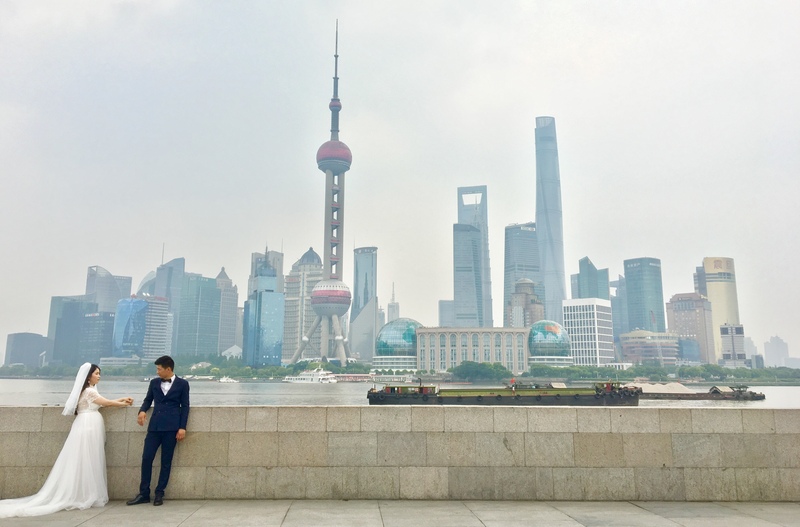 Here are some of my favorite things that I encountered in Shanghai, in no particular order. A very touristy but still charming old neighborhood, Tianzifang is centered around a tiny warren of narrow alleyways chock-a-block with shops and cafes. Some of it is just tourist nonsense, but there are lots of gems in there. My new friend Ana took me to the delightful home style Japanese Cafe Dan in the heard of Tianzifang. I had an amazing pour-over coffee and some delicious Japanese food in a very charming, homey setting. A bit of old-world European calm nestled in the heart of Shanghai. I had a lovely time wandering around the French colonial style tree-lined streets. The first stop on my tourist itineraries. 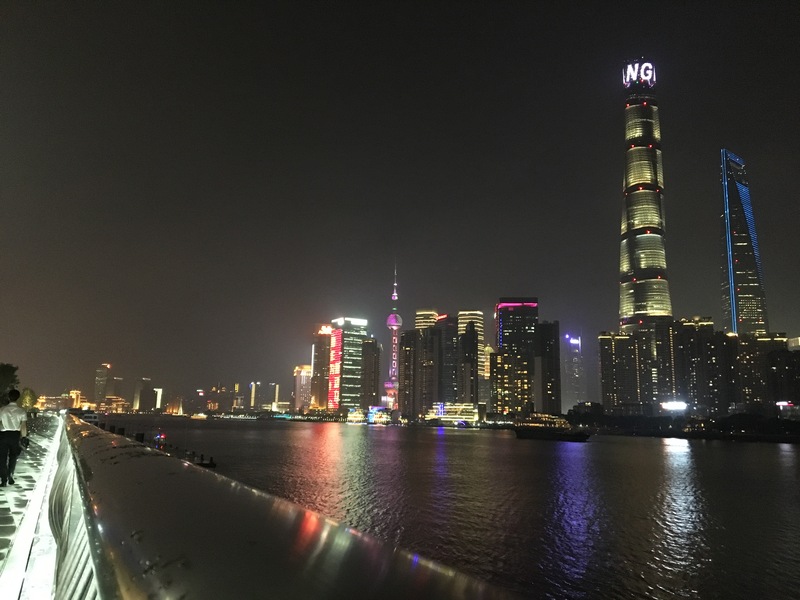 Full of old world and new world grand edifices, and a stunning view of Pudong just across the river. It’s quite picturesque, although it was overcast and muggy most of the time when I was there. I enjoyed visiting the fantastic Fairmont Peace Hotel, even with the incredibly overpriced macchiato and cookie that I ate in a very snooty cafe there. The Art Deco architecture is just gorgeous, particularly the atrium. Don’t miss the tiny museum there. This very weird and still charming tram takes you slowly through an underwater tunnel between the neighborhoods of the Bund and Pudong. The cheesy lighting, music and voiceover I thought was super entertaining. 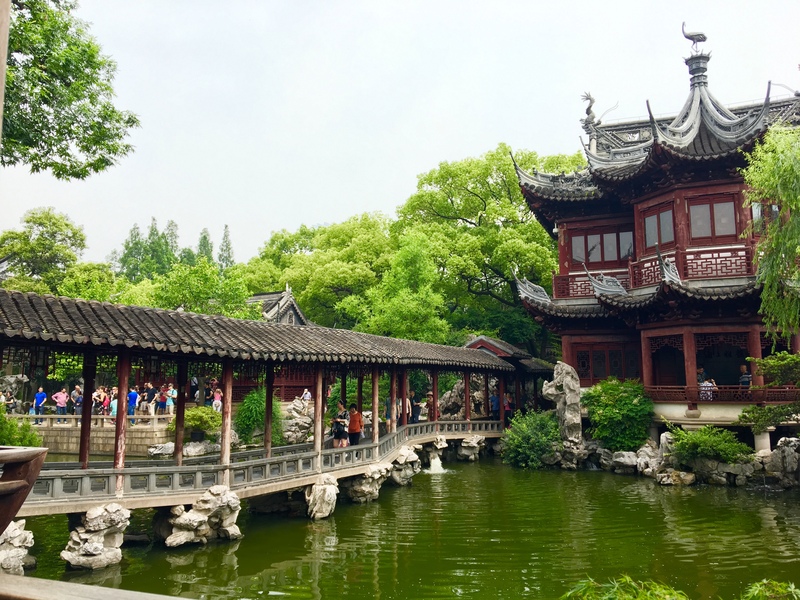 Another huge tourist destination, Yuyuan Garden is a perfectly preserved example of an old Chinese lord’s artfully created garden. Worth the price of admission, particularly if you can early on a weekday when the tourist crowds are not as oppressive. The surrounding shops and restaurants are mostly tacky and cheap. The famous soup dumplings can be sampled from a couple of reputable spots there. I visited this charming, huge park a couple of times, once during the weekend and once during the week. Oddly, on the weekend it was fairly empty. But during the week it was bustling, with hundreds of older locals doing all manner of activities in the park — ballroom dancing, group singing, karaoke, badminton, tai chi, and more. All within well maintained and beautifully designed gardens, plazas and fountains.